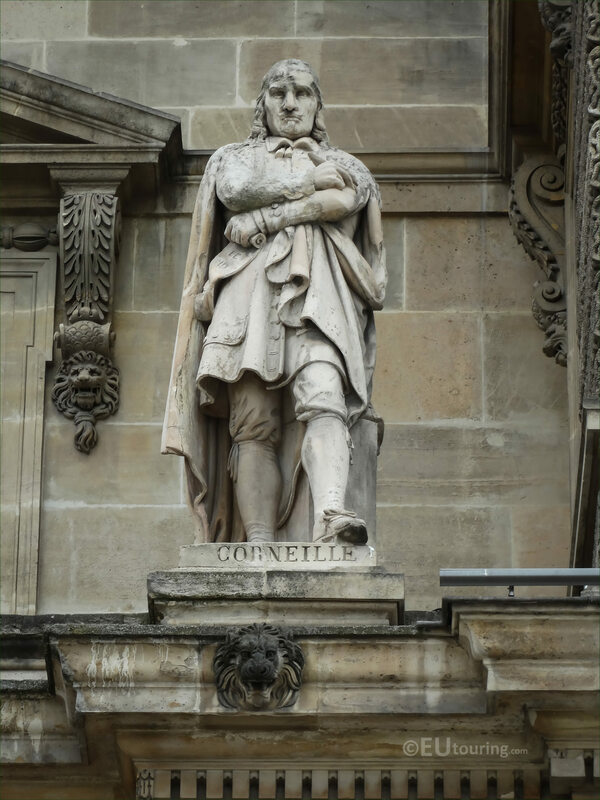 Also while we were visiting the Musee du Louvre and admiring the numerous statues on its facades, we took these high definition photos that show a statue of Pierre Corneille that was sculpted by Henri Lemaire. 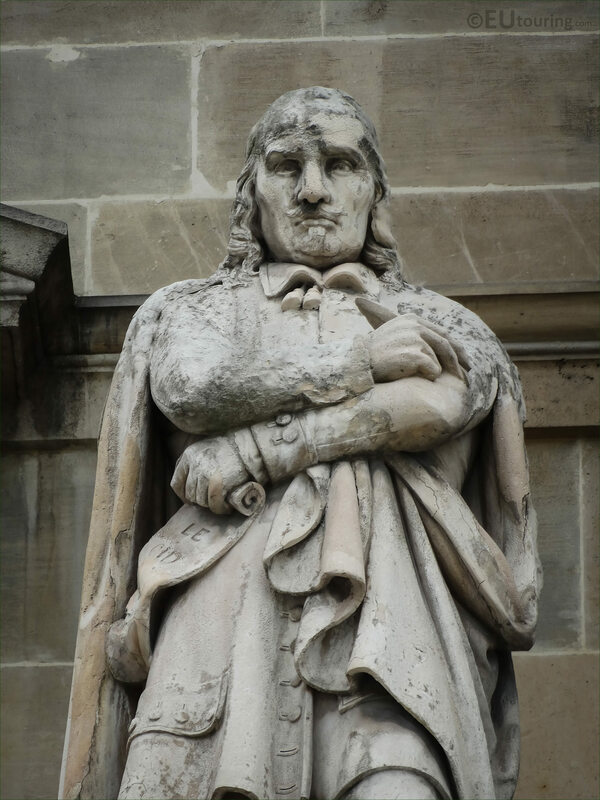 Now this particular stone statue is located on the first level of the Aile en retour Turgot, at the furthest right hand side as you are looking at the facade from the Cour du Carrousel, although, this particular wing of the former Palais du Louvre is actually classed as being in the Cour Napoleon. This closer view of the Pierre Corneille statue you can see in this HD photo, shows working style of the French sculptor Philippe Joseph Henri Lemaire who was born in 1798, and after winning the Prix de Rome in 1821, he went on to produce sculptures for the famous Arc de Triomphe along with other impressive statues worked in a neoclassical academic style. 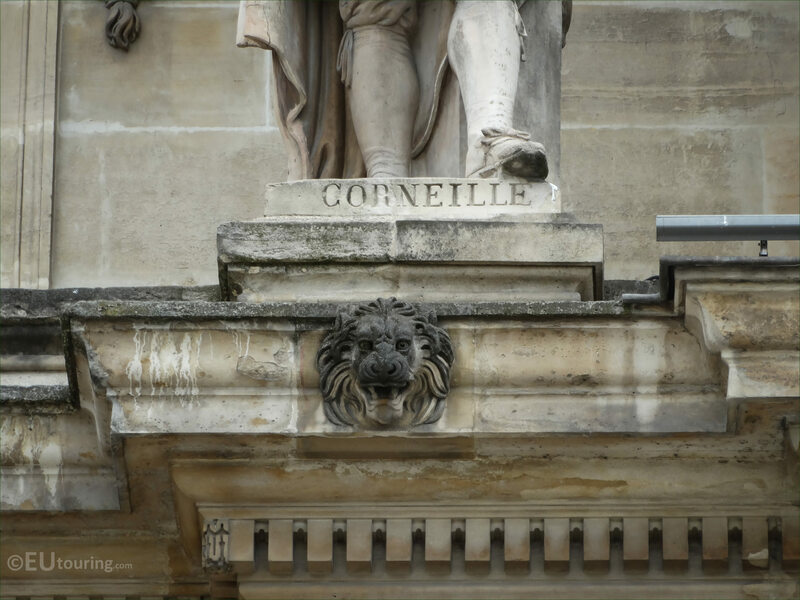 And in this last image you can see the inscription on the plinth, or base of the stone statue, which is dedicated to Pierre Corneille who was born in the June of 1606, and became a tragedien, becoming known as one of the greatest 17th century French dramatists alongside people such as Moliere, with his best known play called Le Cid, which was about a medieval Spanish warrior.